There is a lot of chatter about how to fill the so-called “chef shortage”. Even with the food industry exploding on the media, there is still a huge gap between the number of jobs available and chefs to fill them. Careers through Culinary Arts Program (C-CAP) is a non-profit organization working to change this. 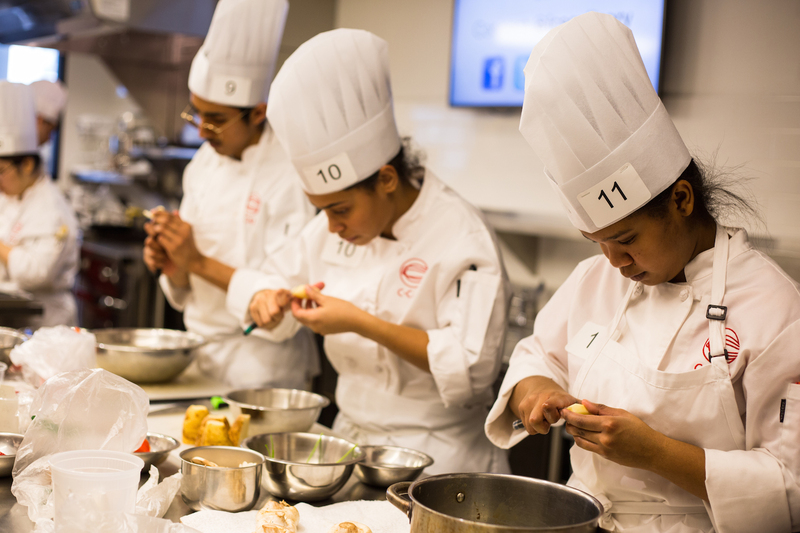 All across the country, high school students have been honing their knifes and buttoning up their chef whites to prepare for the annual C-CAP culinary competitions. These aspiring young chefs have the chance to win scholarships to some of the top culinary schools in the nation. In the preliminary competition, students try their hand at a perfect omelet and a beautiful cucumber salad to make it to the final round. Tune in to get a taste of the action!